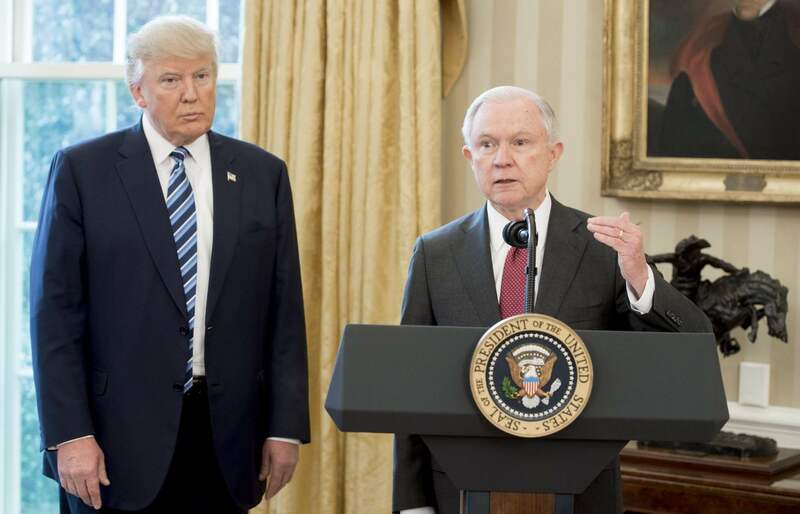 WASHINGTON - U.S. President Donald Trump escalated his long-running feud with Attorney General Jeff Sessions Friday, calling on him to probe a litany of recurring complaints against those investigating his administration and Democrats. The president’s pushback marked the second day of highly public smack down between Trump and his beleaguered attorney general. 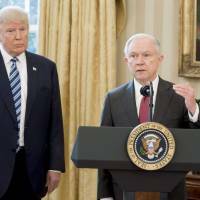 Trump’s anger with Sessions boiled over in an interview with Fox News in which the president also expressed frustration with the plea agreement his onetime legal “fixer” Michael Cohen cut with prosecutors, including implicating Trump in a crime that Cohen admitted. Trump said it might be better if “flipping” — cooperating with prosecutors in exchange for more favorable treatment — were illegal because people cooperating with the government “just make up lies” to get favorable treatment. In the wide-ranging Fox interview, Trump also defended himself against talk of impeachment — “the market would crash … everybody would be very poor” — tried to distance himself from Cohen — “I would see him sometimes” — and said anew that he hadn’t known in advance about Cohen’s hush money payments to silence women alleging sexual relationships with the celebrity businessman.